For the past 7 years INNERCITYOGA has been offering Yoga Teacher Trainings in downtown Geneva / Geneve. The perfect location is easily accessible by public transportation from all parts of Geneva. For students arriving from Lausanne, Vevey, Montreux or Fribourg and even Berne or Zurich, the studio is a short 10 minutes walk from the main trainstation Genève-Cornavin. Whether you are looking to teach one day or to simply deepen your knowledge of yoga, INNERCITYOGA®'s comprehensive Yoga Teacher Training programs give you all the tools to reach your goal. The Deep Flow Yoga Teacher Training was created by INNERCITYOGA founders Ioana and Patric in cooperation with the esteemed teaching faculty. INNERCITYOGA® is a RYS-200 and RYS-300 Registered Yoga School, certified by the internationally accepted standards of Yoga Alliance. The Deep Flow Yoga Teacher Training reunites authentic yoga traditions as instructed by Krishnamacharya and developed further by his direct disciples, such as Sri K. Patthabi Jois’ dynamic Ashtanga, B.K.S. Iyengar’s alignment principles and T.K.V. Desikachar’s Viniyoga. Each teaching faculty member offers a minimum of 20 years of yoga training with the world's most respected master teachers, and a teaching experience of a minimum 15 years. Some senior teachers even offer 40 years of experience! All teaching faculty are hand selected for their great quality of teaching and their ability to convey the content of the programs in the most comprehensive manner. Each year, we review the training and improve all handbooks. This helps you progress in your learning process. Turning your passion into your profession is one of the most satisfying and life-affirming journeys that exists. The Deep Flow Yoga Teacher Training offers a comprehensive and complete system that prepares you for launching your teaching career. It is the perfect foundation that provides new teachers with the knowledge and tools necessary to start teaching while respecting the students' safety and building your own voice. You will be well prepared for your professional teaching career with the foundational RYS-200 Deep Flow Yoga Teacher Training that covers the basics of most major yoga styles. 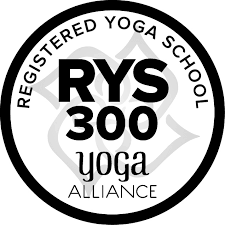 After completing the RYS-200, INNERCITYOGA proposes the RYS-300 Deep Flow Yoga Teacher Training where you will deepen your understanding of yoga and become the most knowledgeable specialist in your niche. Your INNERCITYOGA® Deep Flow Yoga RYS-200-hours and RYS-300-hours training diplomas are certified by the internationally accepted standards of Yoga Alliance and are recognized by yoga studios worldwide. Many graduates attend the training out of their love for yoga without expressing any plans to pursue a teaching career. Completing the RYS-200 Hours Deep Flow Yoga Teacher Training allows you to deepen your knowledge and understanding of the traditional yoga practice. You will find the program beneficial to your personal growth and benefit tremendously from the blend between eastern and western cultures.